K-Drives are hoverboards for robotic space ninjas. Do we need to say more? 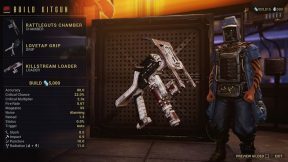 At the end of the Vox Solaris quest, you are awarded a K-Drive launcher with infinite uses. The default K-Drive is functional, but it doesn’t provide mastery XP and it isn’t as effective as a custom built K-Drive. Custom K-Drives can be modded and have better stats so it’s worth grinding for one. In this guide, we’ll cover all the details you need to know to build your own K-Drive, rank it up, participate in K-Drive races and gain Ventkids standing quickly! Before you can get started on building a K-Drive for yourself, you will need to rank up in the Ventkids Syndicate. Fortunately it’s easy to max your Ventkids standing each day. 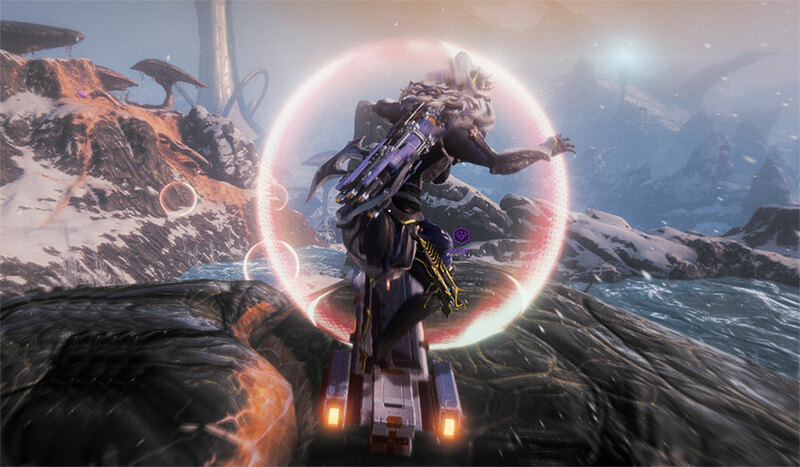 Ventkids standing is obtained by earning points for K-Drive tricks you perform on the Orb Vallis or Plains of Eidolon. There are two main places most people farm for Standing and XP: The Fortuna Pipe and The Pearl Ring. Both of these methods are viable so you should pick whichever one you feel more comfortable with or find more convenient. First, let’s cover the basics of K-Drive controls. You can press down the sprint key to start boosting which significantly increases your K-Drive’s speed. Furthermore, if you hold down the Jump button, your K-Drive will store kinetic energy and jump far higher than a normal jump once you release the key. 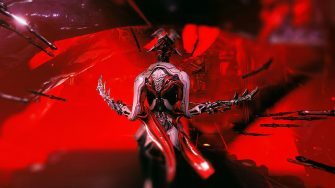 It’s also possible to grind on rails and pipes throughout the Orb Vallis by holding down the crouch key before you land on them and keeping it held down while grinding (if using hold to crouch). Charge your jumps while grinding to seamlessly move from one obstacle to the next without losing your multiplier. While in the air, there are three primary tricks you can do: Flips (right-click), Spins (jump button) or Nose-Holds (left click). Any trick you perform increases your score multiplier. Score multipliers work just like you’d expect: Your score (number on left) is multiplied by the multiplier number to provide your “final score.” You are provided Standing and XP based off your final score at the end of each trick. 25% of your trick’s final score is awarded as Ventkids Standing, meaning a final score of 100 would provide 25 Standing. Score is capped at 3000 (750 Standing) so you should finish your combos once your score totals 3000 or higher. While this may feel complicated at first, it will come naturally after a little bit of practice. Try to get in the habit of always doing Copter (Space in air) and Half Spin (Crouch + Jump in air) to build multiplier quickly. Each 3,000 score should take 30 seconds or less depending on how “optimal” you perform, meaning you can obtain 1,500 standing per minute consistently with this method easily. You can expect closer to 2,500 – 3,000 standing per minute once you are experienced and fast with maxing score. If you prefer, you can also use the Charged Jump method which alternates between Flips and Spins while in air to build multiplier but we think this is faster. Mark “The Pearl” on your map and head over after you enter the Orb Vallis. This is a Corpus occupied area, so you’ll have to clear out all enemies before you can start farming Standing / XP. You do not have to do the small capture mini-game to clear the area. Once you have killed all enemies, you can begin the “grind.” Either see the video above for a full loop or see the step by step instructions below for details. Hold crouch button then tap jump button while holding crouch so you perform “Half-spin” & “Grindy” tricks to increase multiplier. Many players experience an issue where they are interrupted / staggered while grinding on the pipe. There are a few reasons this happens. First, let’s start with the easiest: Try lowering your max frame-rate to around 50 under the in-game Display options (even if you’re on a 120hz + monitor). 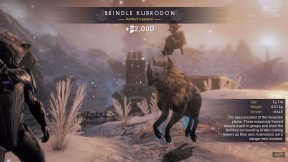 It appears there is a serious frame-rate issue for grinding with K-Drives that makes it a lot easier to get the stagger animation with high FPS. This is based off our observations so this may not cover all scenarios. However, if you adjust your settings and gameplay to minimize these circumstances, we’re certain you’ll see much higher consistency in your grinding so you can pull off mega combos just for fun! 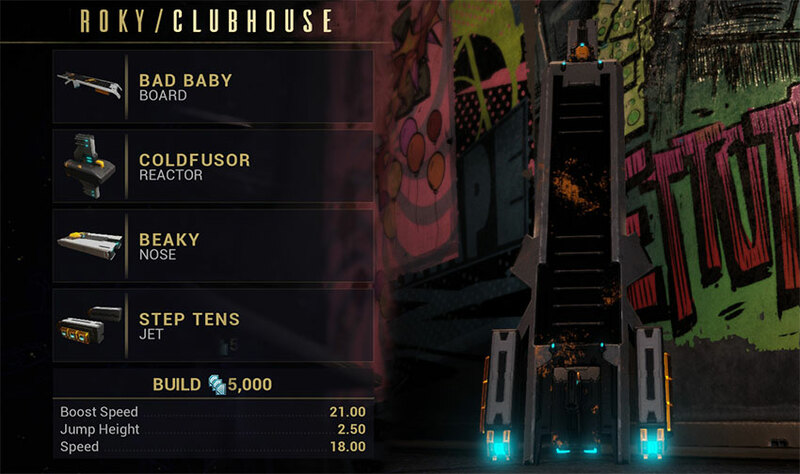 Once you’ve gained some standing with the Ventkids, you will gain access to their offerings which include the parts required to build your own K-Drive. All K-Drives are constructed from four parts: the Board, the Reactor, the Nose and the Jet. As of right now, there is no difference in stats for the 81 different combinations of K-Drives you can build. Therefore you should make your decision solely based on looks or standing cost. Fast travel to Roky in Fortuna to check out their wares and pick up the blueprints you need. Just like other modular items in Fortuna, the component blueprints for K-Drives require resources which can be found out on the Orb Vallis. 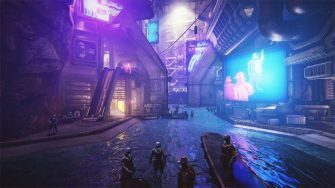 Scrap and most unique resources come from fishing at different locations throughout the Orb Vallis and dismantling the fish at The Business. If you don’t know how to fish yet, we have a detailed guide here to help you get started. Alloys and various gems come from mining, which we covered in detail in our Garuda farming guide. The only resources we haven’t covered yet are the ones you can find naturally throughout the Orb Vallis: Tepa Nodules, Gorgaricus Spores and Mytocardia Spores. Tepa Nodules spawn frequently in and around caves. We recommend getting those while you are mining. For the Gorgaricus and Mytocardia Spores, you can find them in any fungal location on the map (colored orange). We like to farm them north of the Fortuna entrance, near the fishing cave you can see on this map. Best of luck with your farming! Leveling your K-Drives and gaining standing are both based on the score you gain from tricks, so they both use the same methods listed above. Unlike Standing, K-Drives gain XP equal to 100% of the total score at the end of each trick, meaning a 3000 point trick provides 3000 XP. 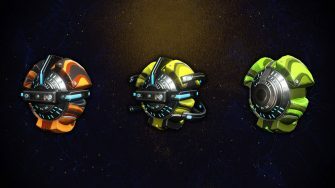 Affinity boosters do NOT affect K-Drive XP gains currently. It’s worth noting you can gain Affinity for your K-Drive from teammates doing tricks on their K-Drives. Affinity share range for K-Drives is map-wide, meaning you can be anywhere on the Orb Vallis and still gain affinity from your teammates. Affinity share also works a little differently for K-Drives than it does for most items. Affinity awarded to allies is equal to your score BEFORE multipliers. That means both 100 x 1 and 100 x 100 provide 100 XP to other players in the squad. It’s not worth focusing exclusively on obtaining the highest pre-multiplier score possible as the raw score increases too slowly. 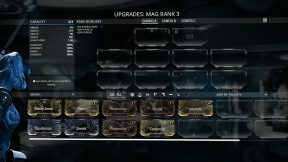 However, it is worth using the Pearl over the Fortuna pipe when farming XP with a squad since raw scores average higher over time at the Pearl. While leveling your K-Drive with a squad is faster, it’s only a 10 – 20% difference and is by no means necessary. 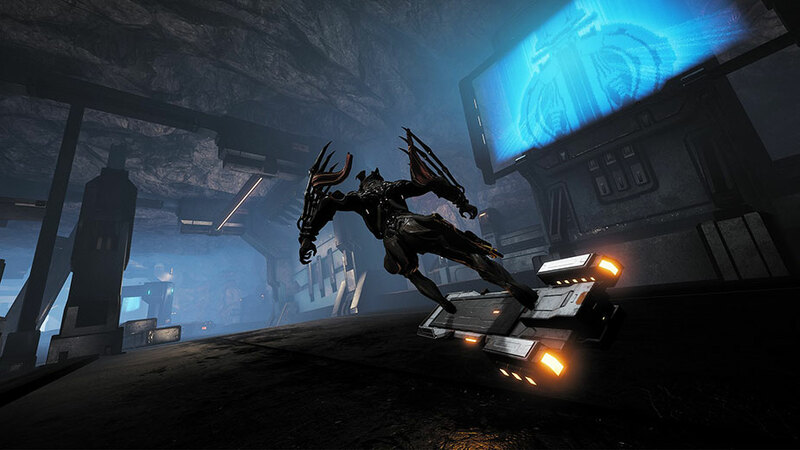 K-Drive races are locations where you can race against the clock as you go through checkpoints and accumulate as many points as possible before the finish line. 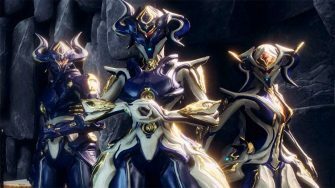 These races are spread throughout the Orb Vallis with only 5 races showing up each day. Check out our map for a complete list of all K-Drive races along with the current active races for the day so you know exactly where to go when you want to get started. You must go through these orange rings / orbs to gain time and progress through the race. Speak to Boon at any active K-Drive race location to start the race. This spawns several large orange rings – The timer begins as soon as you go through the first ring with your K-Drive. Follow the path of orange rings, attempting to maximize your score as you go if you feel like being competitive. You don’t need to perform any tricks if you don’t want to as there is little benefit other than glory for having a high score. Eventually you’ll reach the finish line and complete the race. While K-Drive races were intended to provide standing for completion, they currently don’t. 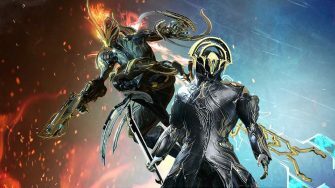 Digital Extremes intends to change this and add higher risk races in the future where you can “bet” your Standing, but for now there is little benefit to completing them other than that sweet achievement. 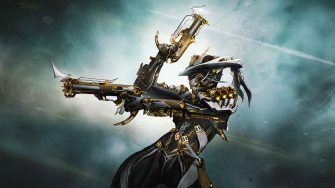 We hope our K-Drive guide has helped you get started with this enjoyable new vehicle and we’d love to see what configurations you’ve put together for maximum “Fashionframe” in the comments below. Thanks for reading! Hey I found another way to farm, at Central Maintenance, where the n in the second word is, you can go around in circles at that intersection! Great place to farm with little enemies to clear out! started using this it is so helpful! Much easier than the main Pipe method honestly! Been farming standing with the races all day today. managed to up my standing. think they changed it with the last update. So in my Profile i see K-Drive as an item that provides MR points but i see only one. Does that mean that i have to lvl up only one K-Dirve? And additional ones dont give me any further MR Points?